This article researches the influences around unconscious reactions to people and objects and looks at where both our own preferences and the potential for universal or overriding preferences fit in. I have also tested some of the theory on everyday objects and found that the iPad mini was the first of the Apple iPhone/iPod/iPad family to be constructed according to the Golden Ratio. Did they learn something about the divine ratios recently and had to bring out the iPad mini to fix it? Some findings where the golden ratio has been applied to everyday objects and where the iPhones, iPads, TVs, paper etc. are compared. 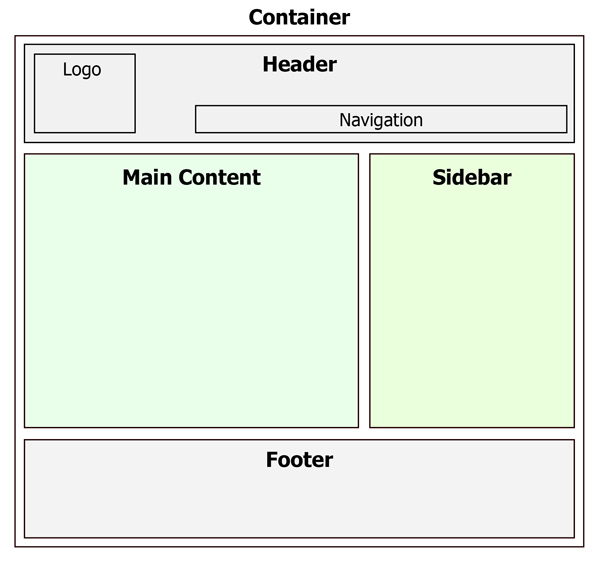 This article contains videos, some diagrams, technical data and explanations. If you are the type of reader that needs to see before you read, I have included links to the videos. so you can watch them right now and return to the article. I came across the golden ratio recently in a documentary video about The Human Face presented by John Cleese, and published by the BBC. What intrigued me was that this ratio seemed to be so profound and yet I had not heard about it. Furthermore, it’s usage seemed to be so wide, and that it appeared in nature, which is an endorsement in itself for me. I then researched further into it, and found a whole body of information from various sources pointing to the same ratio that really took me by surprise. There may be implications with this ratio for how we relate, our patterns of behaviour, generalised ratios in life, and we may take a peek into the reverence that some have for elegance, beauty and timelessness of some constructions. Phi, the Greek symbol for the golden ratio has claims into areas of Mathematics, Geometry, the proportions of the human body, the proportions of many plants, animals, DNA, spirals, the solar system, art and architecture, music (hear the sound of Phi), population growth and even the stock market. So, what is it? I will not attempt to recreate the detailed mathematics behind the Golden Ratio. Its history stems back 2,500 years at least. There are claims that the ratio also goes back to the ancient Pyramids, and that there are examples found in Feng Shui. The golden ratio is also called the golden section (Latin: sectio aurea) or golden mean. Other names include extreme and mean ratio, medial section, divine proportion, divine section (Latin: sectio divina), golden proportion, golden cut, and golden number. The golden ratio as defined in Wikipedia, where the Greek letter phi (far left character) represents the golden ratio. The golden ratio (phi) represented as a line divided into two segments and if you divide a line into two parts so that: the longer part divided by the smaller part is also equal to the whole length divided by the longer part. See Wikipedia as a starting point for further studies into the Golden Ratio. This ratio was first named the golden ratio by the ancient Greeks. In the world of mathematics, the numeric value is called “phi“, said to be named from the Greek sculptor Phidias. There are so called golden rectangles throughout the columns and other shapes of the Parthenon in Athens, Greece. The space between the columns create perfectly formed (golden ratio) rectangles. Associated with the Golden Ratio is also the Fibonacci Sequence, a number sequence that starts like this: 0, 1, 1, 2, 3, 5, 8, 13, 21, 34, 55 and so on forever. Leonardo Fibonacci came up with the number sequence when calculating the ideal expansion pairs of rabbits over the course of one year. The Fibonacci Sequence also forms some of the fundamentals of fractal spirals, but was originally based upon the breeding patterns of rabbits, where the first season the numbers are slow to change (in fact remain as 1), but as the family grew, the number sequence increases at a rate which eventually settles to the golden ratio, where it increases by a number which when divided by the previous number, would equal 0.618 each interval. This creates a spiral that becomes progressively wider as it grows. Disk florets of yellow chamomile (Anthemis tinctoria) with spirals indicating the arrangement drawn in. Today, its emergent patterns and ratios (phi = 1.61803…) can be seen from the micro-scale to the macro-scale, and right through to biological systems and inanimate objects. The Fibonacci Sequence can be seen in Seed pods (Sunflowers), Pine Cones, Tree branches, Sea Shells (Nautilus), Spiral Galaxies (astronomy, the Milky Way), Hurricanes, Human Face, Human Fingers, Animal bodies and DNA molecules. For the full article, see 15 Uncanny Examples of the Golden Ratio in Nature on http://io9.com/ We come from the future. How do we perceive Beauty and Attraction? To complete this look into the Golden Ratio, we will take a look at beauty, where I commenced my look into it. Some theorists call the ratio the Divine Proportions when the theory is related to faces and bodies. So, why is it that some objects, especially people can be considered beautiful or attractive and some are deemed to not be beautiful. Many too have asserted that we make these decisions about beauty and attractiveness and a host of associated attributes within seconds of seeing a person, or even a picture of a person. What is happening – have we all been brain-washed by media and been told to see this person as beautiful until we believe it? 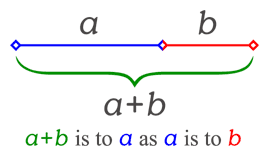 There is something happening with the media I am sure, but the Golden Ratio claims to override this personal attraction because of natural laws. Is there something in our unconscious, where these golden ratios are encoded, an innate drive to breed with the best and healthiest stock? If we have paired ourselves with someone that is not of these divine ratios, have we been driven by another aspect of the person? Is our perception of self driving us towards someone who is of a similar ratio? Why is this attractiveness important or worthy of mention? Well, we live in a world where there are many stereotyped notions about the personality traits possessed by individuals of varying attractiveness, and there is evidence of this in the workplace as proposed by Karen Dion et al, in their book, What is Beautiful is Good. In 1972, Karen Dion, Ellen Berscheid, and Elaine Walster set out to determine whether people hold “stereotyped notions of the personality traits possessed by individuals of varying attractiveness.” Their study provided participants with photographs of subjects previously classified as attractive, moderately attractive, or unattractive and asked them to record their impressions of each. The results were astonishing: based only on the photographs provided, participants predicted attractive subjects would be happier, possess more socially desirable personalities, practice more prestigious occupations, and exhibit higher marital competence. Karen Dion et al., What is Beautiful is Good, 24 J. of Personality and Social Psychology 285 (1972). Id. at 286–87. The subjects’ levels of attractiveness had been determined in a separate study and remained consistent based on the second study’s ratings. Find out the dimensions of some of the common modern day creations that may or may not be ‘like’ the Golden Ratio, such as neither of the global standards for paper sizes – A4 and letter sizes, but the old 8×5″ photographs were. Televisions – where the old 4:3 TVs and PC screens are filling landfills, and the 16:9 was a compromise of standards and is close to the Golden Ratio. 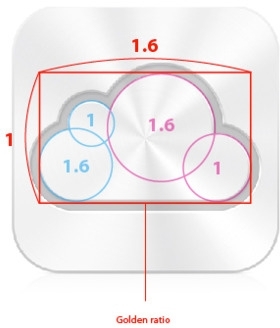 In the world of iPhones, iPad, iPad mini… I found that the iPad-mini was the first of the Apple iPhone/iPod/iPad family to be constructed according to the Golden Ratio. I am wondering if Apple had learned something recently and had to bring out the iPad mini to fix it? Could they not do it while Steve Jobs was involved? I could not find many references to suggest either way, except that Steve Jobs didn’t think the market needed a 7″ iPad, which is close to what an iPad mini is. To use the calculator, put in any dimension of the object you are measuring, and the calculator will return two figures, a Higher and Lower ratio. If either of them are the second dimension of your object, then the object would be conforming to the golden ratio. For instance, if you put in 16 to test the 16:10 and 16:9 ratio for new TVs, you’ll find that it returns 10 in the Lower ratio, whereas if you put in 15, it will return 9. If you include another decimal place (just by putting in 146 or 150), the figure might more accurately be 146:90 or dividing by 10 again, 14.6:9, so the golden ratio for a TV might be closer 16:10 or to 15:9 rather than 16:9 which is the most common. You can add your own findings into the comments of this post. Maybe there is something very universal with the golden ratio. A part of me still wonders if we have been conditioned to see these relationships and consider one shape or proportion as ‘good’ when compared against another. Do countries adhere to this and some do not? Does it span cultures and timeframes or eras? I wonder if we could do an experiment, where participants where not primed with notions of a ratio, and they were presented with shapes, some adhering to the golden ratio, and some not, and see if there was skewing towards a ‘golden’ rectangle or spiral. I am guessing some would need to know the purpose or context for deciding which is better. Are there some other areas that we could apply the golden ratio? Like the wake:sleep ratio, where we perform better if we have 38.2% of our time in quieter, meditative or sleeping states? 38.2% of our day would be just over 9 hours. Has the ratio (especially the spiral) been applied to when a video or post goes viral, where the number of hits grows at a rate of 1:618, just as rabbits breed (its with Fibonacci origin in the year 1202)? What relevance is there to NLP? Well, nothing directly…. However, when we start to uncover some of the biases and influences we and those around us have as humans, there can be some bearing on our behaviour. That can be for you to decide if in your opinion, there is evidence of the ratio and how it may affect you and/or your clients. There is another aspect regarding any concept like this – when we consider the world of metaphors, we observe patterns in nature and make connections as appropriate to our world or the world of our client, and the more we know about the world around us in terms of broad principles (golden ratio and perfect spirals), the richer might our metaphors be. So, whether we remember this as a piece of maths, a guide to beauty, knowledge of body proportions, a law of nature or a theory that bears little relevance to you personally, what can we learn and where can we apply it? For me personally, I will be viewing the world with open eyes (and maybe a tape measure) and see what relevance it has to my world. Are there implications to learning, patterns of study or teaching. For example concentration span – there have been many studies into the length of time that classes should be for teaching, and some say 40 mins, some 50 mins – the golden ratio would be 37:23, where this could be trialled as 37 mins teaching with a 23 minute break. http://pinterest.com/goodstfconsgmts/golden-mean-ratio-fractal/ (Golden Mean Ratio Fractal group on Pinterest) including Fractals, TEDxCharlotte 2010 – Randy Powell – Vortex Based Mathematic, Golden Mean (Beauty Ratio), Leonardo da Vinci, Vitruvius, Pythagoras, Parthenon and TODAY, and many other references, articles, images and videos. The Golden Ratio, Beauty and Design: It’s time to face the facts. Here are the latest Tweets on the golden ratio and related topics by Gary Meisner, founder and author of GoldenNumber.net and developer of PhiMatrix golden ratio analysis and design software: Tweets by GaryBMeisner The post Gary Meisner’s latest Tweets on the Golden Ratio appeared first on The Golden Ratio: Phi, 1.618. Governments around the world commemorate the Golden Ratio, Phi and Fibonacci sequence. Stamp collecting is one of the world’s most popular educational hobbies, and is enjoyed by people of all ages and nationalities. The most popular stamp ever is US 1993 Elvis stamp, with over 124 million collected. So, the Golden Ratio and Fibonacci sequence […] The post Golden Ratio, Phi and Fibonacci Commemorative Postage Stamps appeared first on The Golden Ratio: Phi, 1.618. The golden ratio is Stephen Silver’s secret weapon of character design. Stephen Silver is a character designer and art teacher who has designed characters for Disney Television Animation, Sony Feature Animation and Nickelodeon Animation. In this role he has designed the style of the shows such as “Kim Possible”, Kevin Smith’s “Clerks” the animated series, […] The post The Golden Ratio in Character Design, Cartoons and Caricatures appeared first on The Golden Ratio: Phi, 1.618. The last digit of the numbers in the Fibonacci Sequence form a pattern that repeats after every 60th number: 0, 1, 1, 2, 3, 5, 8, 3, 1, 4, 5, 9, 4, 3, 7, 0, 7, 7, 4, 1, 5, 6, 1, 7, 8, 5, 3, 8, 1, 9, 0, 9, 9, 8, 7, 5, […] The post Fibonacci 60 Repeating Pattern appeared first on The Golden Ratio: Phi, 1.618. Using the Golden Ratio to win at football. The golden ratio is found in many places, but here’s one you might not have expected: It can be found in football gaming strategy when making the “point after touchdown” decision as to whether to kick for 1 extra point or go for a 2 point conversion. […] The post Phi and Football Strategy’s Golden Ratio Rule appeared first on The Golden Ratio: Phi, 1.618. Overview: Analysis of the site of the Great Pyramid of Giza reveals that the positions and relative sizes of the pyramids may be based on the golden ratio. Evidence of the Golden Ratio in the Great Pyramid complex. There are many pyramid theories and questions as to who built the pyramids in ancient Egypt. It’s commonly […] The post Golden ratios in Great Pyramid of Giza site topography appeared first on The Golden Ratio: Phi, 1.618. Facial golden ratios are simple, clear and abundant. Since my first investigation of human facial proportions in 1997, it seemed clear that the most important features that define a human face are the simplest and most obvious: An oval head and the positions and dimensions of the eyes and the mouth. As evidence, consider […] The post Meisner Beauty Guide for Golden Ratio Facial Analysis appeared first on The Golden Ratio: Phi, 1.618. Best practice techniques for facial and beauty analysis. Numerous studies have been done to investigate the existence and/or relationship of golden ratio proportions in the human face. Surprising few get it right, so the results of many of these studies are inaccurate and misleading. There are four important keys to selecting photographs that are suitable […] The post How to take photos and measurements for facial beauty analysis and identification of golden ratio proportions appeared first on The Golden Ratio: Phi, 1.618. Debunking the Debunkers of Golden Ratio Myths. Overview: This article reviews Dr. George Markowsky’s article on eight misconceptions about the golden ratio. He starts his analysis by establishing a very generous ±2% range for considering evidences of the golden ratio as acceptable. In four cases though, evidences for the original claims are missed or ignored. […] The post Dr. George Markowsky’s “Misconceptions about the Golden Ratio” Reviewed appeared first on The Golden Ratio: Phi, 1.618. New study unveils Michelangelo’s extensive use of the golden ratio in the Sistine Chapel. In 2013, I reported that Michelangelo used the golden ratio in his painting “The Creation of Adam” in the Sistine Chapel. This Divine Proportion appears at the point at which Adam’s finger is touched by the finger of God, as God […] The post Michelangelo and the Art of the Golden Ratio in Design and Composition appeared first on The Golden Ratio: Phi, 1.618. Found this reference to be added The Sound of Phi, based upon intervals from wired magazine.